Nestled in the dramatic summits of Utah's Wasatch Mountain Range, life in Park City offers all the benefits of a resort-lifestyle, while having access to modern conveniences and opportunities that can be found in major metropolitan areas. Though Park City offers a well-rounded mountain lifestyle, what truly captivates the audience is the peaceful setting and the laidback lifestyle, and of course the excellent variety of property. Park City rests 7,000 feet above sea level and is a quick 35-mile commute to the Salt Lake International Airport, which allows for effortless accessibility. Not to mention a climate that provides stellar snow and a gorgeous summer. With access to some of the best snow and skiing in the world, there's no wonder why Park City real estate has such a worldwide appeal. Park City is an opportunity to live in one of the finest mountain cities in the world, both as a primary and secondary residence. Some of the most prestigious and comfortable homes in Park City can be enjoyed by anyone who appreciates being close to world-class skiing, and of course, immersed in breath-taking nature. 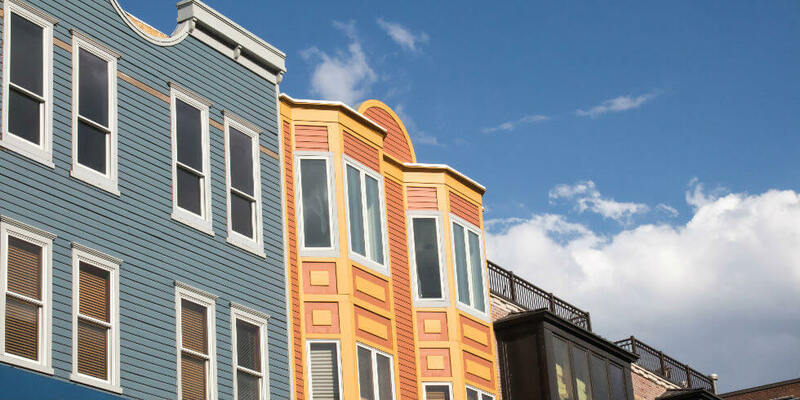 Park City real estate is mostly known for its high-end real estate market, but you'll be surprised to find that it's still quite reasonable to live here as a full-time resident, even if luxury is not in your means. Whatever your preference is, you'll find everything from mountain-side estates, to ski-in-ski-out properties, or condos nestled away from all of the commotion. You'll surely be impressed with the variety of single-family homes Park City real estate has to offer you. Taking a peek into the high-end market, luxury homes in Park City are everything that dreams are made of. Truly, only the sky is the limit when it comes to Park City luxury homes. Most of these high-end estates are situated next to the best ski lifts the peaks have to offer. The homes are out of this world with endless views of the Summit. Pools, sauna, underground parking, wine cellars, sprawling balconies, and epic patios made for entertainment are just a few ways to scratch the surface of the luxury that's found in Park City real estate. The craftsmanship found in these luxury Park City homes is something out of a home and country magazine, as no corners or costs have been cut. Expect the finest imported materials, unique customized art, majestic fireplaces, spa-like bathrooms, and a kitchen suitable for a chef or two. Rustic wooden beams, chandeliers and panoramic windows only add to the austere, yet beautiful mountain views. Welcome home to your own ski lodge. In the middle of the Park City real estate market, home buyers will be pleased with the variety single-family homes. For those who are looking to purchase the perfect-sized property for their families or a vacation home, Park City real estate offers properties that range anywhere from 1,500 square feet to 8,500 square feet, offering 2 to 7 bedrooms and bathrooms. The styles of homes are typically contemporary and rustic in design and built to last with their solid structure. Wooden beams, stone-clad exteriors, massive windows, and elegant interiors are what make these homes full of mountain charm and character. Proximity to chairlifts, views, and amenities will command the value of a property in this market, but you'll certainly find a cozy home and a compact investment for years to come. If you prefer low-maintenance living, Park City condos are brimming with options. Whether you wish to have a 5-star residence or a comfortable and quaint townhouse, it's here up in the mountains. You'll find condos in hotel residences, or privately-owned units. It all depends on what you prefer in terms of amenities, service, affordability, and convenience. Park City Condos for sale, much like the single-family real estate options, ranging from ultra-luxury to perfectly reasonable attached dwellings. Park City condos start on average from 650 square feet to 5,000 square feet, accommodating 1-6 bedrooms and bathrooms. Some units are quite contemporary, while others have undergone some renovations over the years to suit the modern buyer. These properties are ideal for the lock-up-and-go owner. Easy to rent-out too! One of the best parts of having a condo in Park City is the ski-in ski- out accessibility, as many of these buildings are located right at the base of the mountain or next to favorable ski-runs and lifts. Jump into the pool, hot tub, and sauna after a long day! Apart from living on-top of one of the best ski-destinations in the world, another perk of living on this peak is the income generating potential. Home buyers can off-set their costs associated with their vacation property by building equity through renting out their property. It's likely you'll find this investment successful since people from all corners of the world want to come and play a-top the Wasatch mountains. There isn't a simpler way to say it: people live here because of the exceptional lifestyle, and it is just as impressive as the real estate, if not better! With top-rated resorts in North America, comes great skiing. Park City Mountain Resort, Deer Valley, and The Canyons. Imagine skiing the best terrain and the best snow on earth, while just steps away from your home! As winter transitions into summer, Park City bubbles with a well-rounded atmosphere of excellent hiking, mountain biking, spas and entertainment you'll find in Utah. The hills that surround the community expand across 150 miles of public trails. If getting your heart rate up in rugged terrain isn't for you, Park City real estate just happens to have an excellent golf community. You can also fly-fish in the lakes, water ski, and horseback riding the trails in your backyard. As for entertainment, this world-class destination offers over 100 restaurants and bars, accommodating all palates and preferences. Yuki Yama Sushi, Ghidtotti's Italian Café, and Ruth's Chris Steak House are just some of top dining establishments to check out. All year-round, residents enjoy access to a plethora of festivals such as the Sundance Film Festival, Park City Food, and Wine Classic, and Park City Kimball Arts Festival just to name a few. Does living in Park City interest you? If so, be sure to get in touch with our group of professionals! Our team is dedicated to finding you the best options!